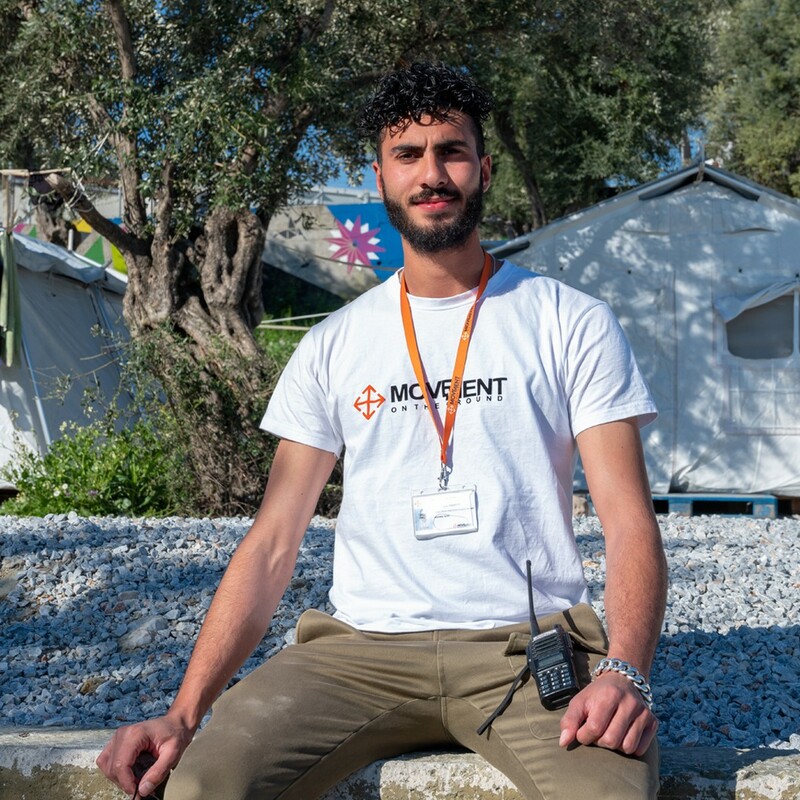 Ali is the Moria Olive Grove CampUs manager, but he only started working with us as a volunteer twelve months ago. His progress and achievements make him the true embodiment of our Camp to CampUs philosophy. To celebrate Ali finishing his first year working with our Movement, we're giving him the spotlight to tell his story. “I had heard a lot about MOTG from friends and I had seen Adil and Martijn around a lot, always working on different things. I knew they were great people. One day I saw Adil and I told him - ‘hey! I really like your organisation, I want to be part of your team, you don’t have to pay me money or anything, I just want to be part of this’. Adil thanked me for asking him and said he would let me know. I had a meeting with Martijn and we started talking about potential opportunities. At first they thought it would be good if I worked with children. But then Martijn showed me the Olive Grove and explained to me the plans for the area. I immediately liked it. I thought 'this is a moment to do something for other people, to make a change,’ - it felt very special. I just felt straight away that great things were going to happen for hundreds of people, that we could give them their dignity. So I started working at the Olive Grove. We worked hard, every single day, to the point where some days we couldn’t walk anymore. All to create this place. Slowly things started to improve and we built this great community, where there is trust between people, where there is a great team who works together. When I started the Olive Grove looked like a jungle, like a mountain and now it looks like humanity, like its a decent place to live. Everyday I wake up and I feel like it’s my first day at work again. I start the day with the same energy and excitement as my first day. I never feel bored or annoyed about going to work. Even when I spend just a day away, I miss it, I miss the Olive Grove. So I came back to Lesvos. And my family supports my decision, they appreciate what we are doing here. I can’t wait to say years, and not just year, this is just the beginning of this journey for me. I want to grow with Movement, to move from country to country, helping people regain their dignity."